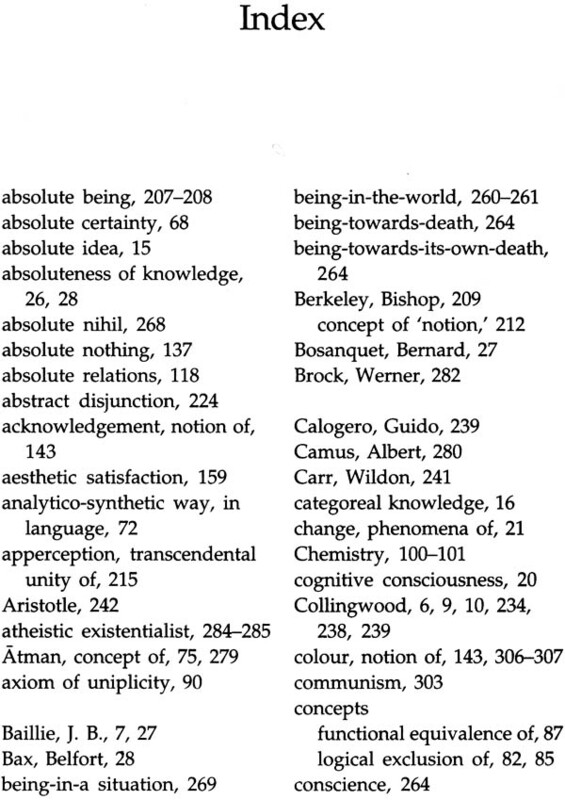 The Nature of Philosophy is a reprint of the very first book published by Daya Krishna. It is based on his doctoral work, completed in 1951 in the Department of Philosophy of Delhi University. The book is a critical examination of the presuppositions of the philosophical enterprise; it considers the admirable clarity and critical acumen diverse styles and genres of philosophical reflection: analysis, phenomenology, existentialism, and other historical modes of doing philosophy. Daya Krishna moves from one mode to another with great facility and seamless ease. Although written more than fifty years ago, the book is an impressive example of philosophical modernity. The present world reprinted version consists of the original twelve chapters of the introduction by Mrinal Miri as well as a Bibliography and an index. The book is an outstanding contribution in philosophy and would be beneficial to scholars of various areas of philosophy, humanities, social and the natural sciences. Daya Krishna (1924 2007) was one of the most creative Indian academic philosophers of the second half of the twentieth century He graduated from Hindu College and completed his master’s degree from Delhi University in 1940. After working as a researcher at Amalner Institute of Philosophy he was a Rockefeller Foundation Fellow a Senior Fellow at East West Centre Hawaii and he retired from Rajastan University after teaching there for many years Daya Krishna was the Editor of Journal of Indian Council of Philosophical Research till his death. He has written extensively on many issues in philosophy and other allied disciplines covering both Western and Indian thoughts His major publications include lndia’s Intellectual Tradition Indian Philosophy: A Counter Perspective; Prolegomena to Any Future Historiography of Cultures and Civilization Planning Power and Welfare, Consideration Towards Theory of Social changes The Art of Conceptual among others. I am very happy that the Council has been able to bring out this reprint of the book The Nature of Philosophy by late Professor Daya Krishna. The book was his Ph. D. thesis submitted to the University of Delhi after working on a research fellowship during 1948-50. Dr. N.V. Bannerjee was Dayaji’s Ph. D. research supervisor and Gilbert Ryle and H.H. Price of Oxford University and S.K. Maitra of the University of Calcutta were the examiners of the thesis. In 1955, the thesis was published by Prachi Prakashan, Calcutta, in almost the same form in which it was submitted for the Ph.D. degree. As I went on reading the book to check it before giving it for reprinting, I was very struck by certain of its stark similarities to the later writings of Dayaji, especially on Indian philosophy, in both style and spirit. 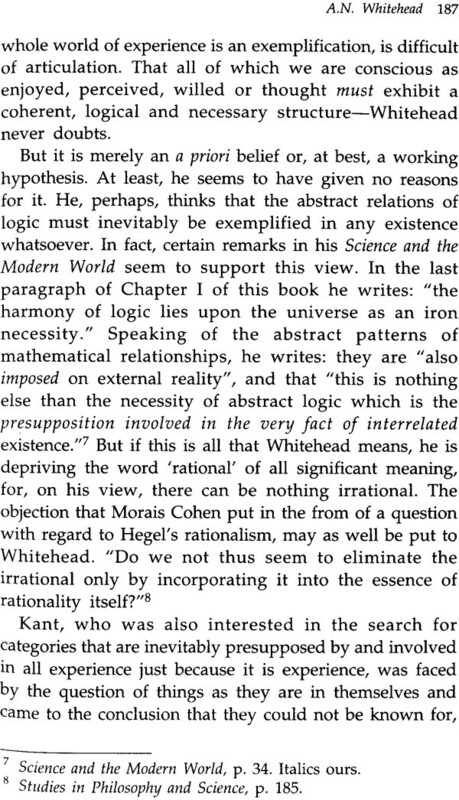 It was almost the same except that the book dealt entirely with Western philosophy. 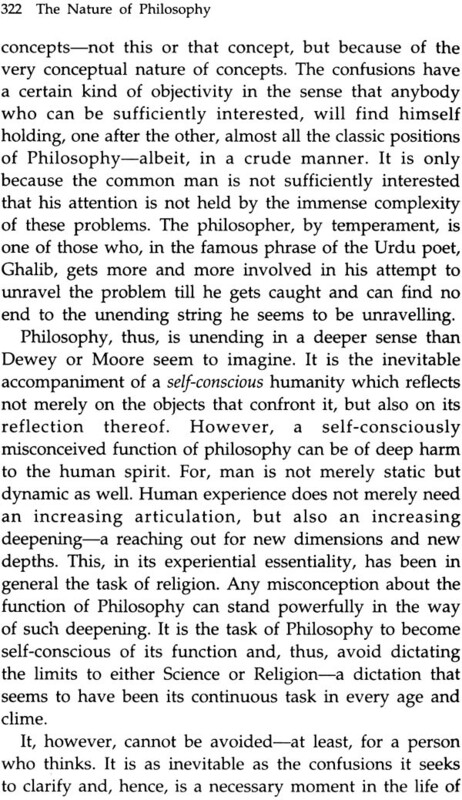 It had subjected the Western concept of philosophy and the concepts within it by its upholders to the same kind of sharp analytical criticism to which Dayaji had subjected all the schools and concepts of Indian philosophy in most of his later writings. The questioning spirit and style was the same in this book while what he questioned alone happened to be different. The book thus provided very valuable insights about the way in which his philosophical approach had evolved and shaped in his early days of philosophical thinking. Therefore the decision about the need to reprint the book did not prove hard at all. One specialty of Dayaji’s style in this book is the extensive use of dashes and commas in the sometimes very long and complex sentences consisting of several clauses and sub-clauses. 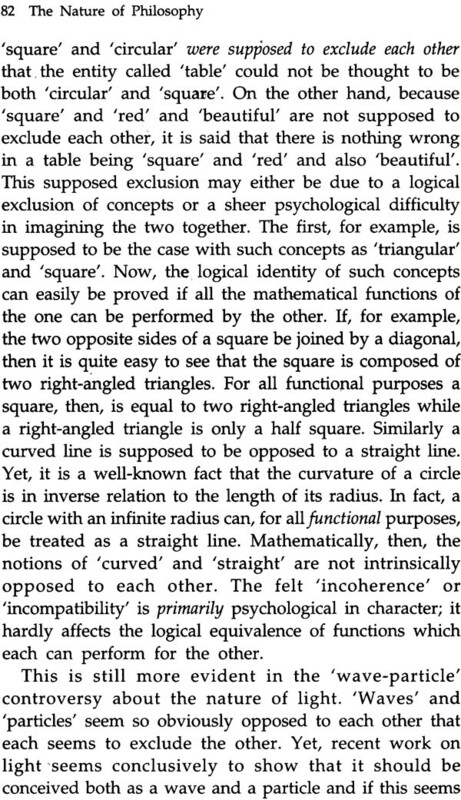 One of his examiners had even drawn attention to this peculiarity. In Dayaji’s later writings, this style has almost disappeared. Professor Srinivasa Rao persuaded me that this style in the book should not be substantially altered while preparing the text for reprinting. In this enterprise of reprinting which has been a real labour of love for all of us who had been associated with Dayaji in various ways, I wish to place on record my special appreciation and thanks for the help and encouragement offered by many friends and associates in India and abroad. In particular, I am specially thankful to Professor Mrinal Miri who has kindly written an Introduction for this reprint. I am also thankful to Professor Srinivasa Rao who has gone over the entire printed text of the earlier edition and made a few improvements including the correction of printing errors. My thanks are due to Dr. Shail Mayaram and Ms. Sujata Malaiya, daughters of Professor Daya Krishna, for evincing keen interest in reprinting this book. I thank Professor Sharad Deshpande, who not only urged me to take up this work for republication, but also sent me a copy of the book from his library for our reference and type-setting. Above all, I sincerely thank our Chairman, Professor K. Ramakrishna Rao who has taken very keen interest in promoting ICPR’s publication programme in general and the production of this book in particular, from the stage of its conception several months ago to its completion now. Daya Krishna—Dayaji, as he was popularly known— was born in Delhi in 1927 and died in Jaipur, where he lived for the best part of his life, in 2007. He was undoubtedly one of our most creative academic philosophers of the second half of the twentieth century. He drew his intellectual sustenance from a great variety of sources—the philosophical traditions of both the West and India, literature of all ages, the arts including music, modern science and mathematics and a childlike—often playful—curiosity about things and people. Dayaji has left behind an extraordinarily rich legacy of philosophical writings—mostly in English but also a fair amount in Hindi. The Nature of Philosophy was Dayaji’s first published book. It is substantially the same as the work on the basis of which he had been awarded the degree of Ph.D. by the University of Delhi. Two of his Ph.D. examiners were Professor Gilbert Ryle and Professor H. H. Price—both leading philosophers of the time. 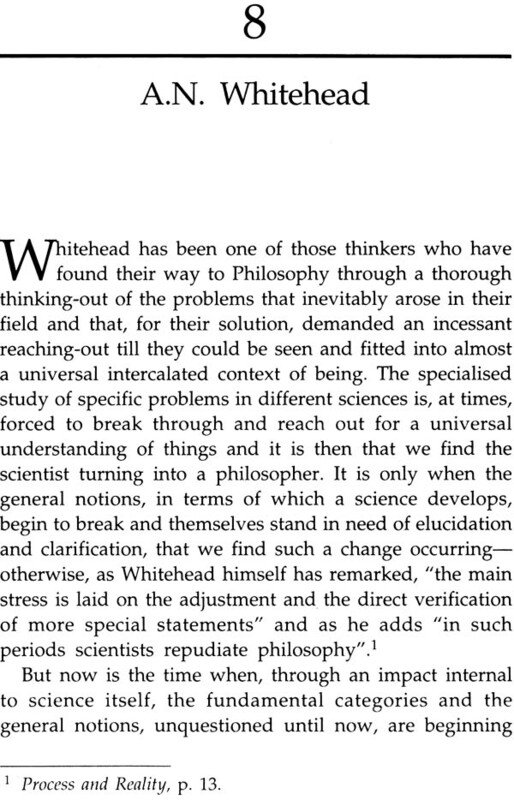 Professor Ryle’s book, The Concept of Mind, had appeared just a few years ago, and, as is well known, created a powerful ripple in at least the Anglo-American philosophical world. Both the examiners lauded Daya Krishna’s thesis, and it is easy to see why. The work shows a fiercely independent mind at work, a maturity of thought, an ability to make connections which reveal a truth or an aspect of a truth with surprising vigour, a grasp of the history of European thought that must have been rare even for a European student of young Daya’s age and a lucidity of expression that is seldom seen in philosophical literature. Daya Krishna’s characterisation of all traditional philosophy in these bold terms may come as a surprise to some, but it could be a delight to critics of modernity who derive their inspiration from philosophers like Nietzsche and Heidegger. Daya, however, is no Nietzschean or Heideggerian. 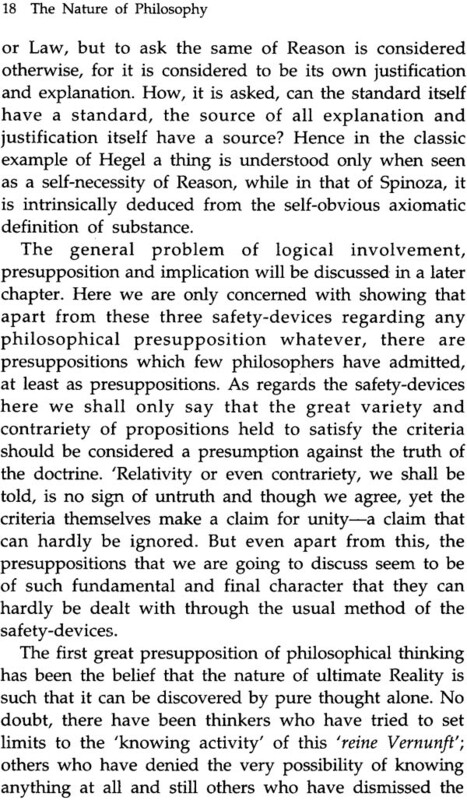 His account of traditional philosophy’s presuppositions as well as his critique of these presuppositions is purely internal—internal in the sense that it rests on a serious engagement with traditional philosophy’s arguments and not on extraneous psychological or “anthropological” considerations—considerations which have sometimes been termed as “genetic” as opposed to analytic. 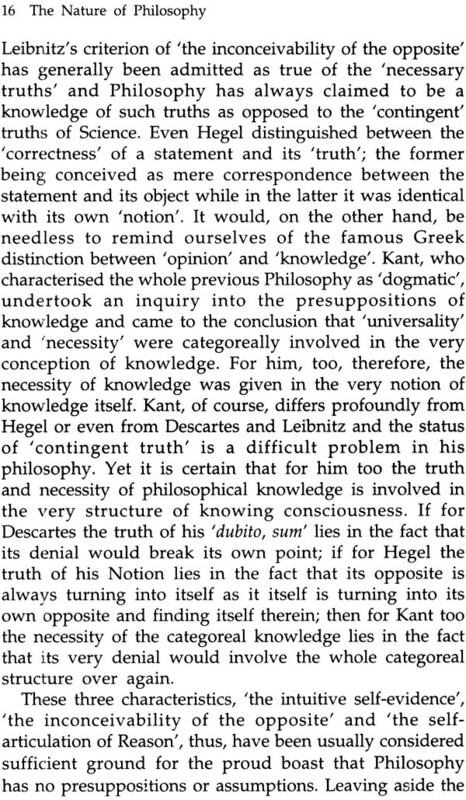 Thus we have Daya Krishna grappling with arguments in writings that, he thinks, constitute the canonical texts of traditional philosophy—writings of Plato, Descartes, Hume, Kant, Hegel, Russell, Whitehead and Bergson. 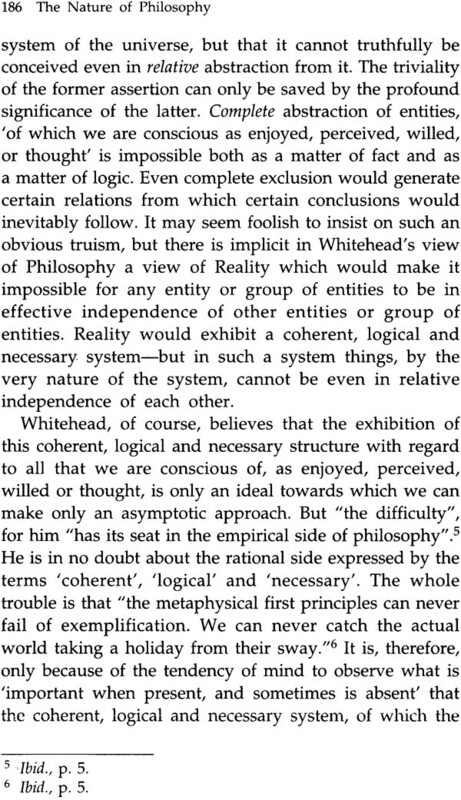 One of the most instructive features of his treatment of traditional philosophy is that he is able, with much plausibility, to deploy arguments, taken from latest developments in science, to bolster his own critical exposition. 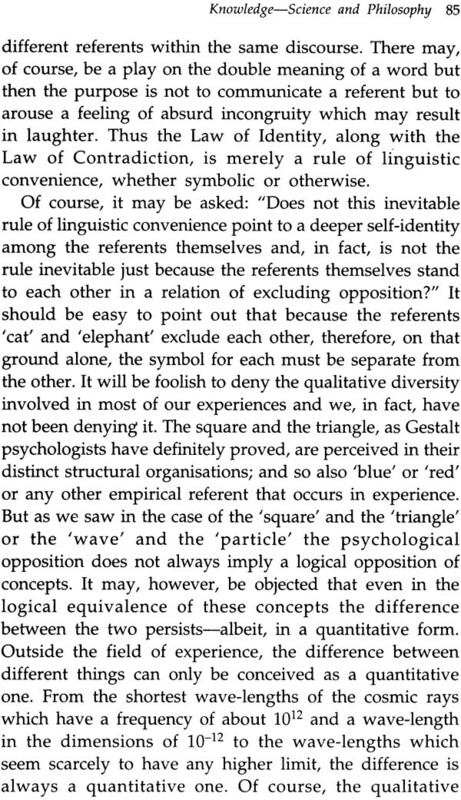 Compare this passage with many of the things that Moore says in his “A Defence of Common Sense”. 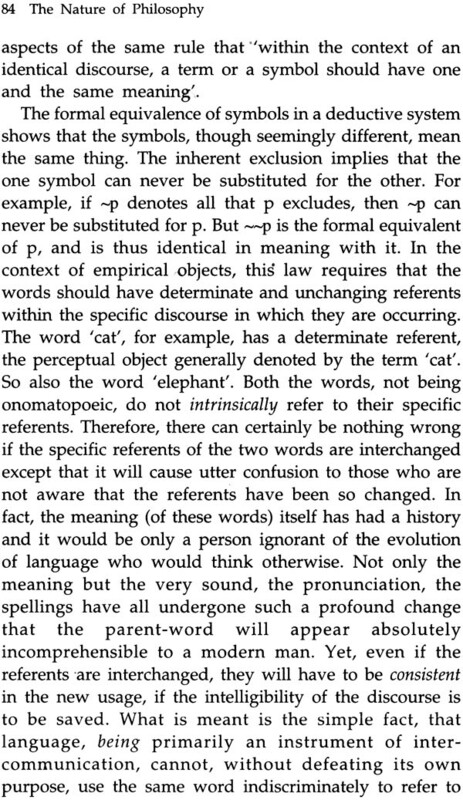 One very instructive way of making sense of Moore’s “This-is a-human-hand” argument is to see it in the light of Heidegger’s assertions about “pre-reflective knowledge”. 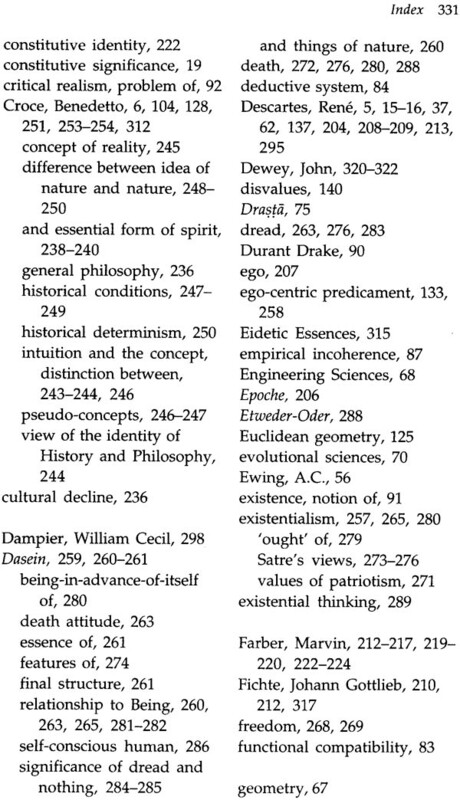 The chapter, “Philosophy as History” is, however, a bit of an oddity. 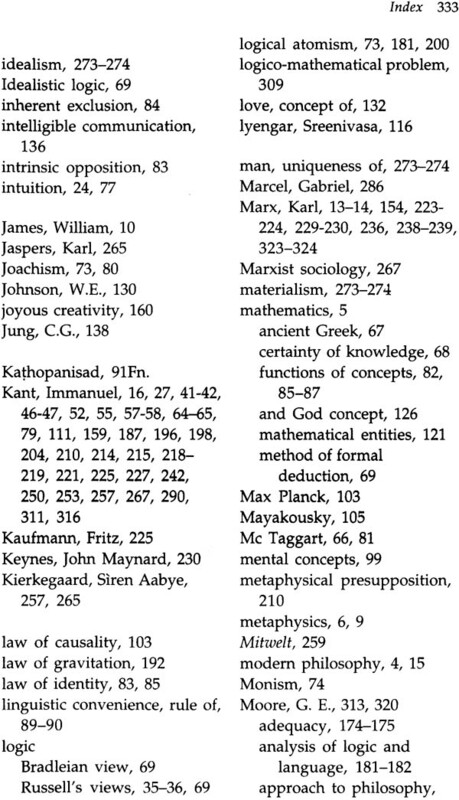 Spengler, Toynbee, Marx, Collingwood and Croce vie with one another for attention. Although it is Croce who finally wins this battle for attention, the usual clarity of exposition, or incisiveness of criticism is largely absent. 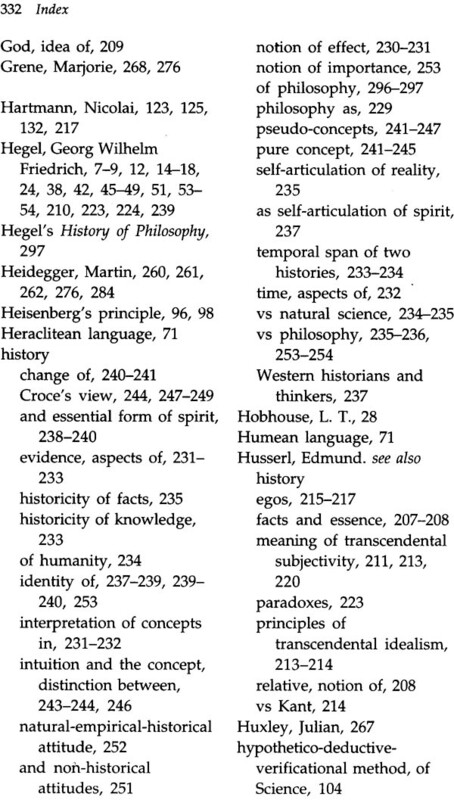 Behind the very large and somewhat surprising—surprising in the context of what has preceded in the book—questions:“Is history philosophy?”, or “Is philosophy history?”, there are mundane, but philosophically urgent questions which remain unasked and unanswered: questions such as: Is Aristotle’s concern for the “good” life, for example, exactly the same as our concern for the good life? 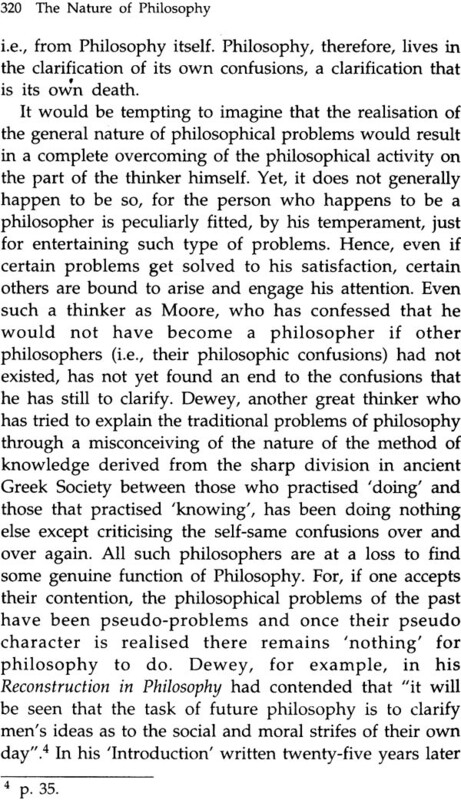 If so, are philosophical problems totally ahistorical or eternal (one of the presuppositions of philosophy that Daya Krishna has set out to examine in the book). 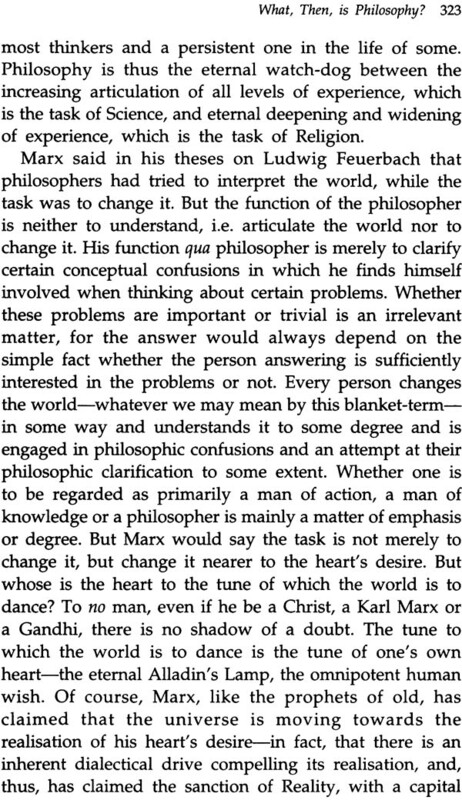 If, however, our problem is significantly different from Aristotle’s, how do we articulate this difference? Is philosophy involved in this articulation? Is it possible for us to capture with exactitude Aristotle’s meaning or intention? 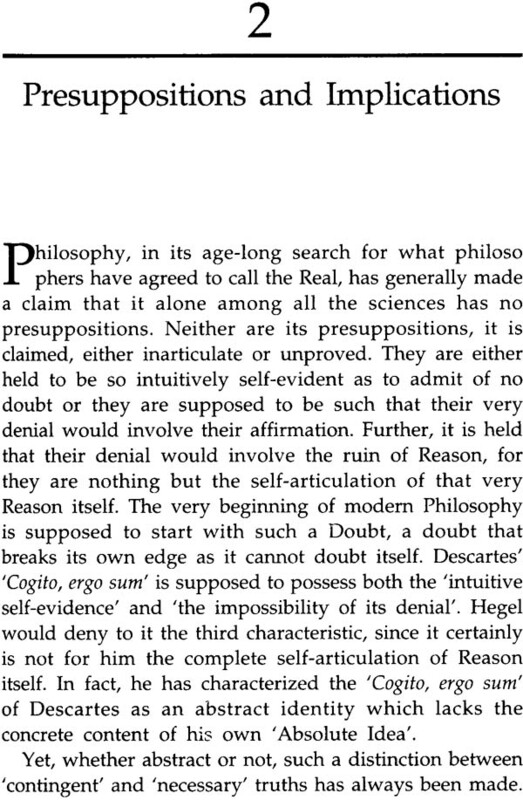 Is anachronism in our approach to history of philosophy avoidable at all? 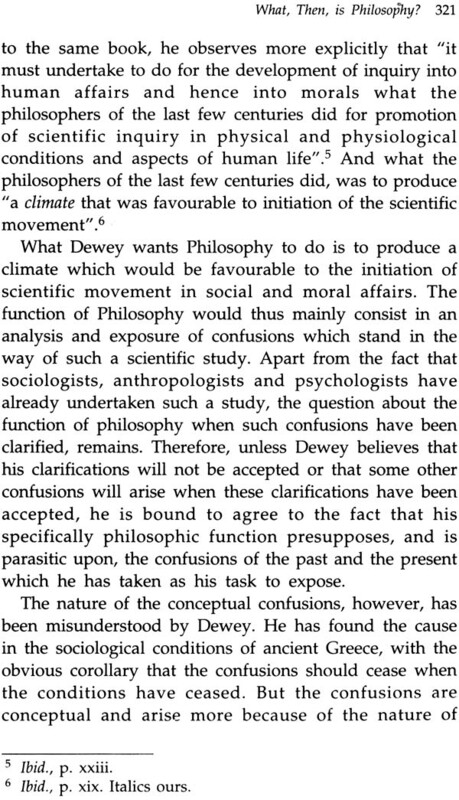 To my mind, it is in the way that we address and answer these questions that will shape our understanding of the relationship between philosophy and its history rather than answers—if there are such, to what I have called the large questions—answers which, in any case, as Daya seems occasionally to suspect, beg rather than answer the question(s). But, I have no doubt at all that the young reader of today will find Daya’s conversation with Spengler, Toynbee, Croce and Collingwood quite exciting. 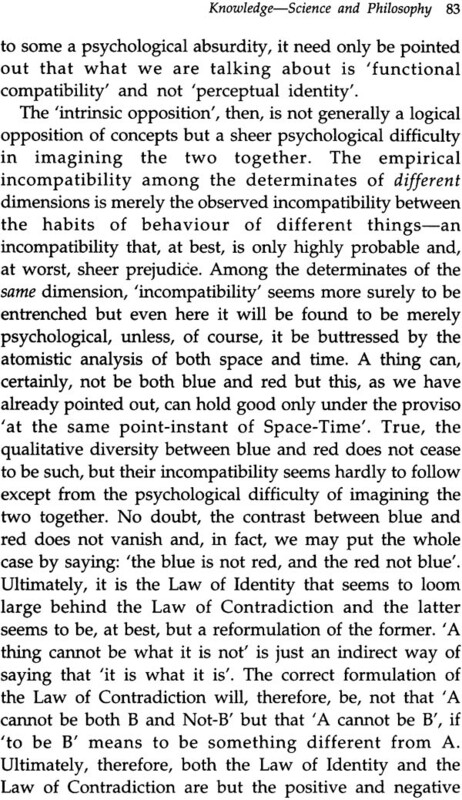 Philosophy has moved on somewhat from the time that Daya wrote his Ph.D. thesis. 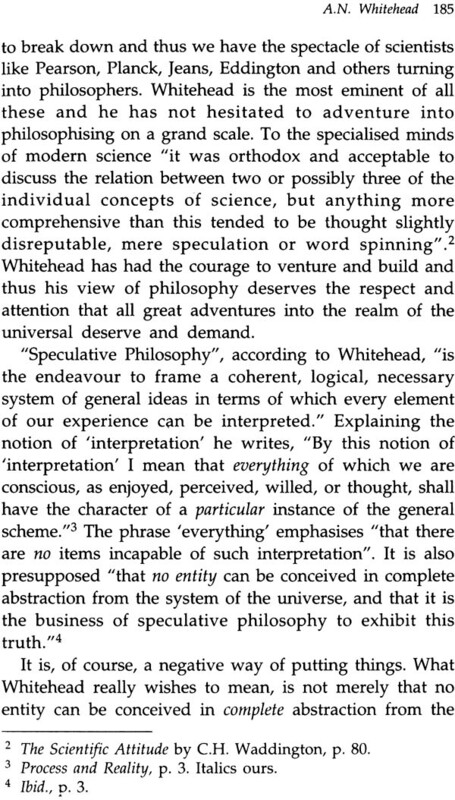 But his book remains exemplary for several reasons: (i) his ability to identify, with utter fairness, the high points of philosophical thinking in the West; (ii) his mode of philosophical writing that shuns emotive expansiveness that characterizes so much of philosophical writing today and (iii) his deep affinity with what may be called “modernist” philosophical writing. 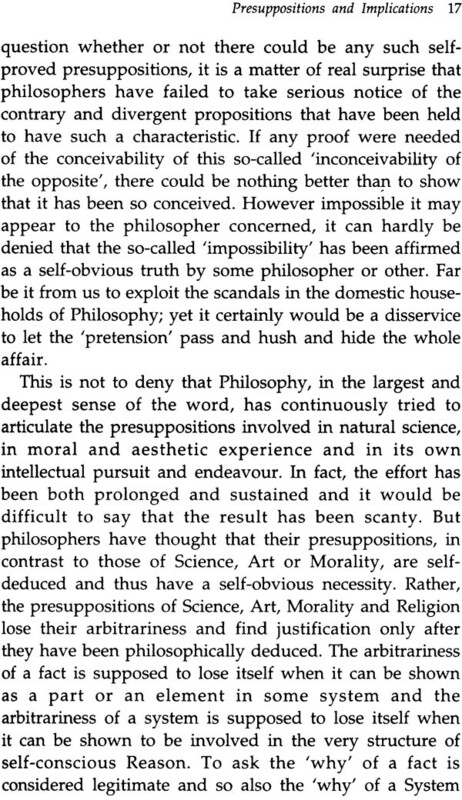 Bernard Williams in one of his essays on music describes this modernist mode beautifully: “Modern philosophy has one sure modernist credential in its rejection of kitsch. In its technical complexity and certain rhetoric of formalism it can rightly contrast itself with writing that cheaply passes as philosophy, with its false comforts or bogus profundities or self-satisfied and costless gestures of despair. 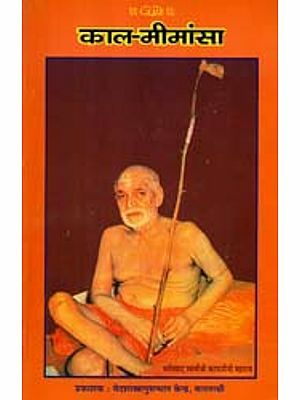 Avoiding such things is not a particularly modern aim—it is something that philosophy has had to do from its earliest days in ancient Greece.”2 Daya Krishna’s book, after more than fifty years of its first publication, remains a very impressive example of philosophy done at its best in the modem era.